In a significant judgment, the Supreme Court on Tuesday held that an appeal to the division bench of high court is not maintainable against an order or judgment passed by a single judge in a criminal matter, irrespective of whether the order has been passed in exercise of extraordinary jurisdiction under Article 226 of the Constitution or inherent jurisdiction under Section 482 of Criminal Procedure Code. There were conflicting judgments by various high courts on this question of law. 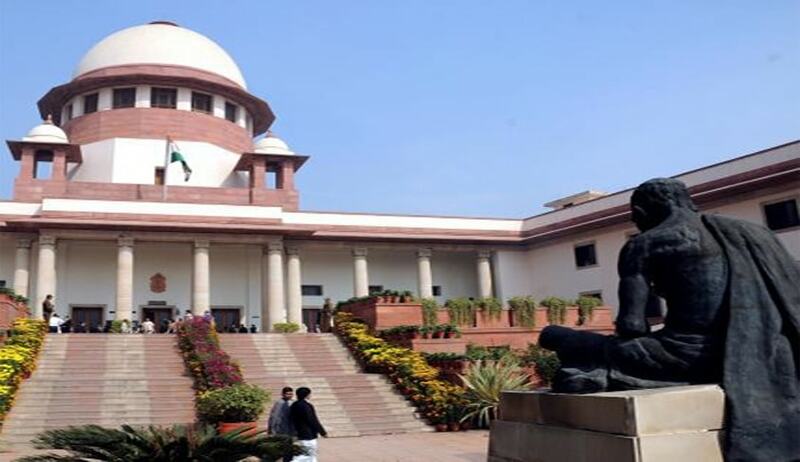 A three-judge bench comprising Justice Dipak Misra, Justice A.M. Khanwilkar and Justice Mohan M. Shantanagoudar said the high courts of Gujarat and Delhi had correctly laid down the law and the view expressed by the full bench of the High Court of Andhra Pradesh was incorrect. In the case at hand, a writ petition was filed under Article 226 of the Constitution for quashing of the recommendation of the Lokayukta to register an FIR. The said recommendation would have led to launch of criminal prosecution, and, as the factual matrix reveals, an FIR was registered and criminal investigation was initiated. The single judge analysed the report and the ultimate recommendation of the statutory authority and thought it seemly to quash the same and after quashing the same, as he found that an FIR had been registered, he annulled it, treating the same as a natural consequence. Thus, the effort of the writ petitioner was to avoid a criminal investigation and the final order of the writ court is quashment of the registration of FIR and the subsequent investigation. Referring to Clause 10 of the Letters Patent, the bench observed that it is manifest that no appeal lies against the order passed by the single judge in exercise of criminal jurisdiction. Clause 10 of the Letters Patent establishing the Lahore High Court (which is applicable to the Punjab & Haryana High Court) is in pari materia to Clause 15 of the Letters Patent of the Chartered High Courts. Referring to a Supreme Court judgment, the bench observed that the character of the proceeding does not depend upon the nature of the tribunal which is invested with the authority to grant relief but upon the nature of the right violated and the appropriate relief which may be claimed. The bench said if the proceeding, nature and relief sought pertain to anything connected with criminal jurisdiction, intra-court appeal would not lie as the same is not provided in Clause 10 of the Letters Patent. “In such a situation, to hold that the learned Single Judge, in exercise of jurisdiction under Article 226 of the Constitution, has passed an order in a civil proceeding as the order that was challenged was that of the quasi-judicial authority, that is, the Lokayukta, would be conceptually fallacious. It is because what matters is the nature of the proceeding, and that is the litmus test,” it said. Dismissing the petition, the bench held that in view of the aforesaid prismatic reasoning, the irresistible conclusion is that the Letter Patents Appeal (LPA) was not maintainable before the division bench and, consequently, the order passed therein is wholly unsustainable and, accordingly, it is set aside.